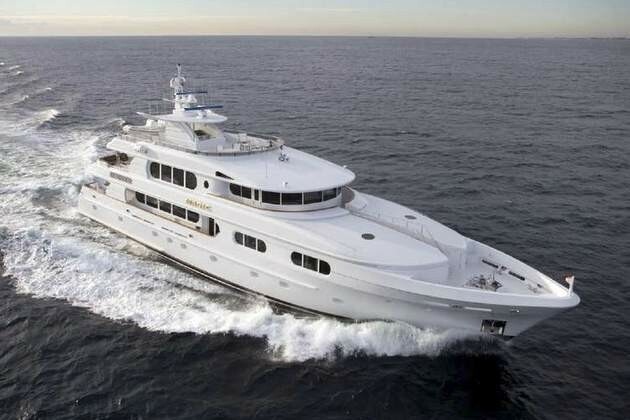 Luxury Motor Yacht MAGIC was designed by Ward Setzer and built by Northern Marine in 2004, the yacht measures 39.62 meters (130ft) and accommodates up to 10 guests in 5 cabins. 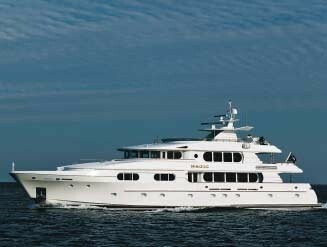 She is available for charter in Florida and the Bahamas during the summer months and throughout the Caribbean in the winter months. 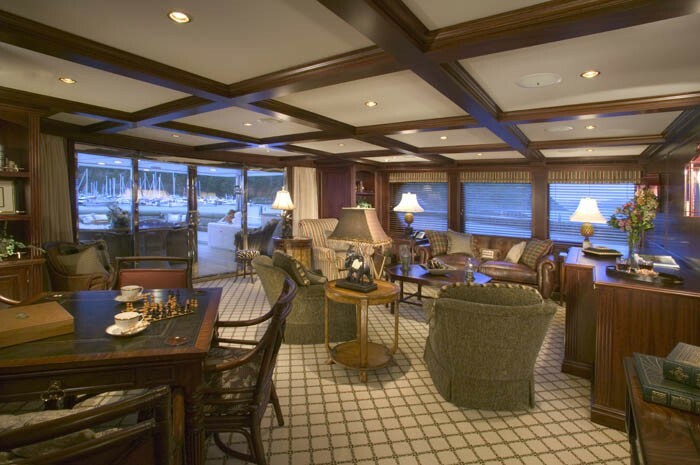 In 2013 Magic underwent an extensive refit at Front Street Shipyard, involving major design changes in her exterior areas. 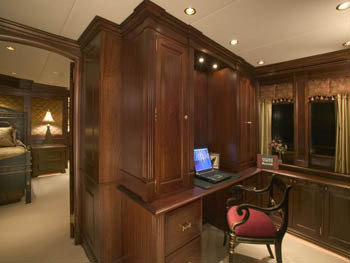 In 2018 the yacht received a further refit. 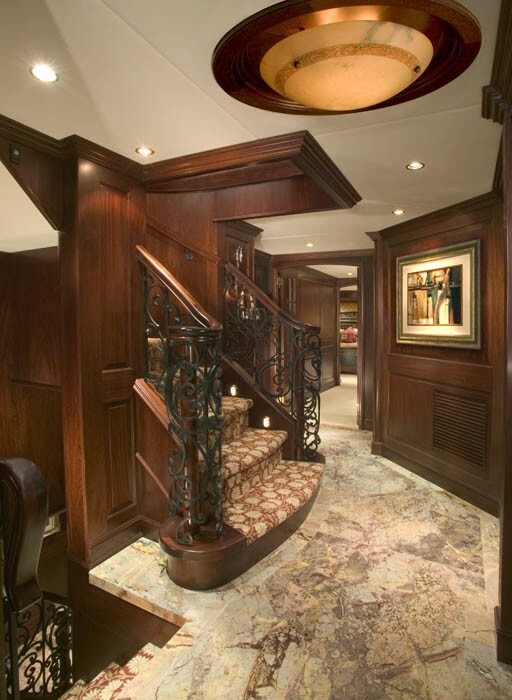 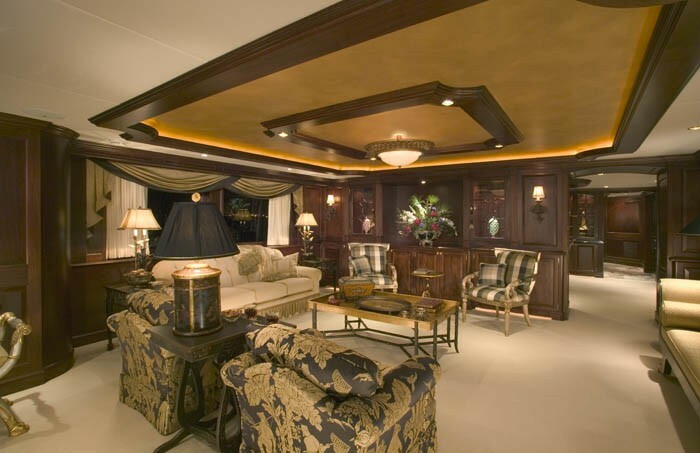 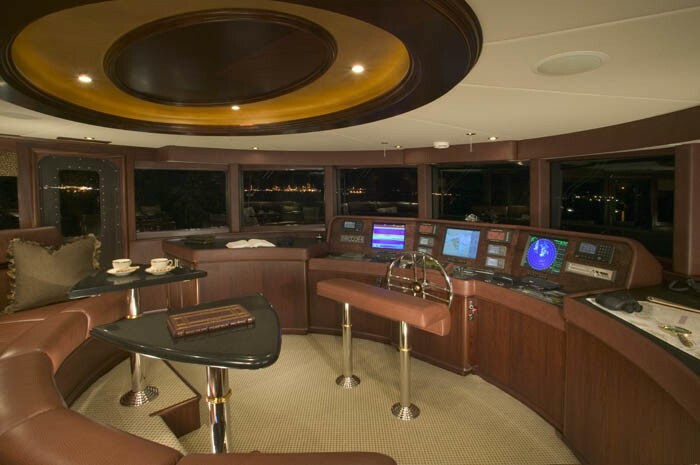 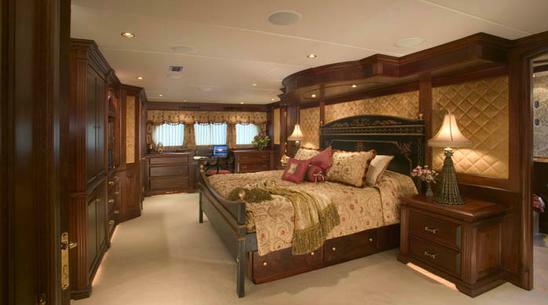 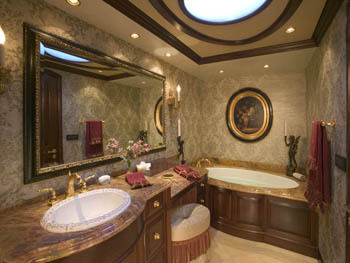 Charter yacht MAGIC has an inviting interior featuring fine African and Honduran mahogany with marble and granite throughout. 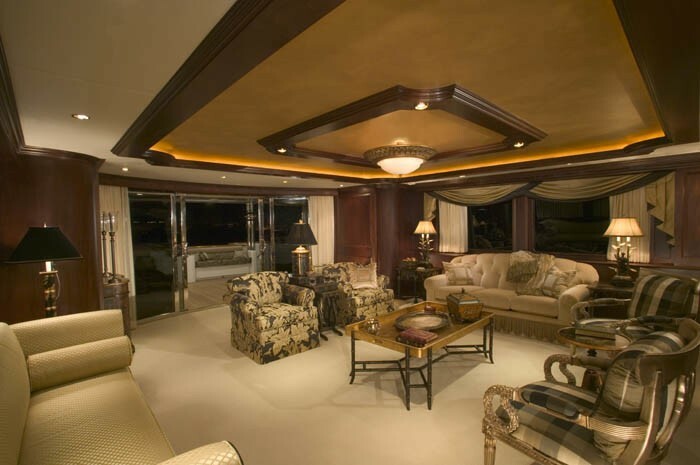 The main salon has an elegant décor of neutral soft furnishings comfortably placed for optimum relaxation; light carpeting and large windows provide a spacious feel, while custom carved moldings add a high quality finish to the space. 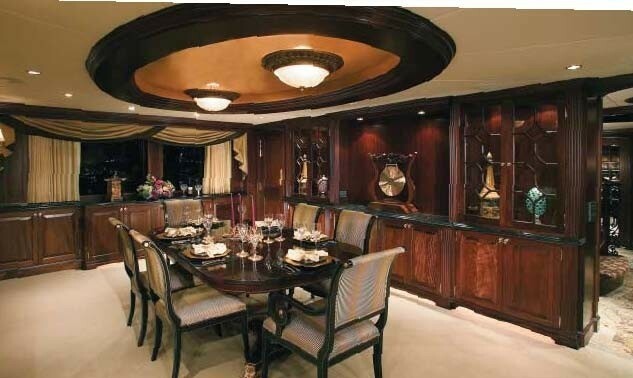 Separate and forward of the salon is the formal dining area. 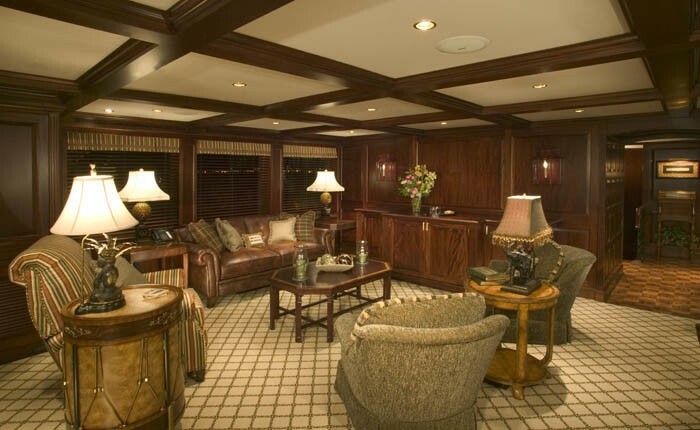 M/Y MAGIC boasts a further lounge space in the sky-lounge above with plenty of seating to relax and unwind. 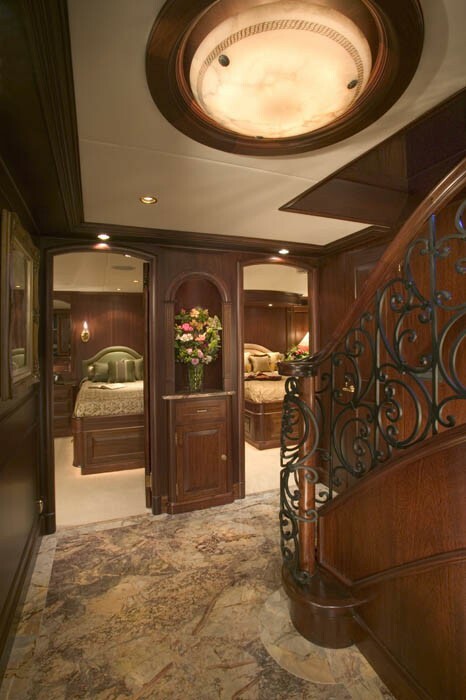 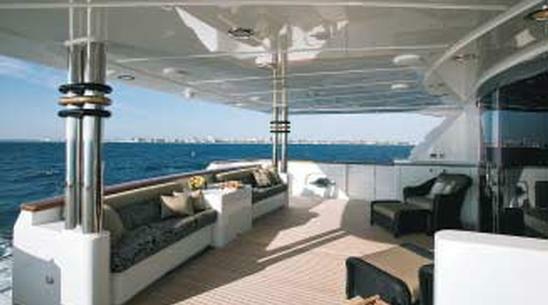 Exterior living on M/Y MAGIC is generous on 3 decks. 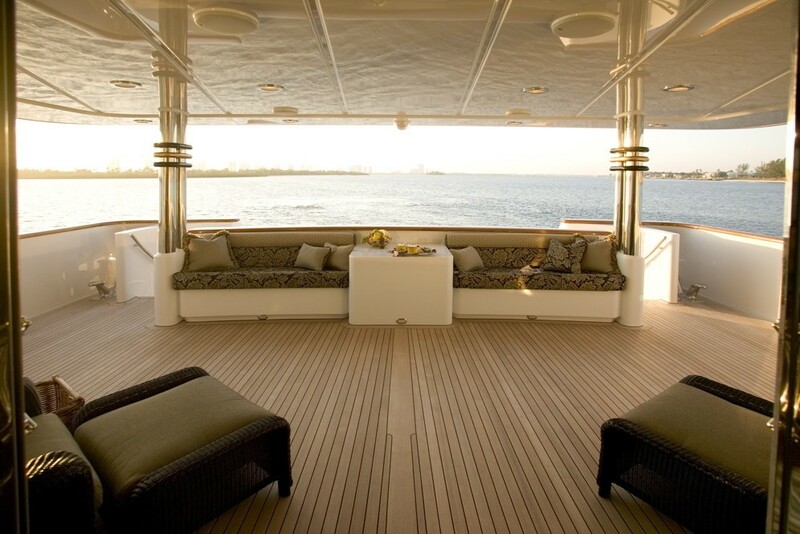 The shaded aft deck can be accessed from the main salon and offers 2 sofas and 2 whicker chaise lounges, a perfect spot to sit back with a book or head down the adjacent swim platform to enjoy the water toys. 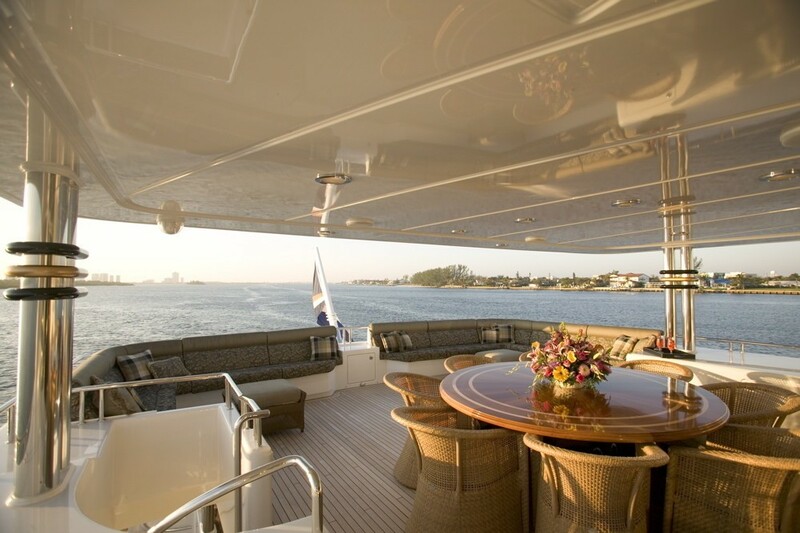 Above the main deck the sky lounge opens onto another spacious aft deck boasting further relaxing seating and an alfresco dining option. 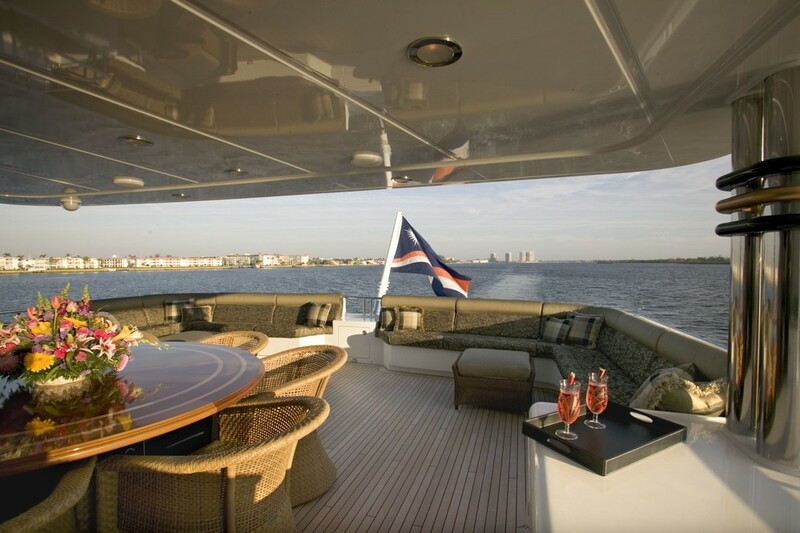 The flybridge on M/Y MAGIC offers 2 cocktail style alfresco tables with optional umbrellas, a BBQ and Spa Pool tub. 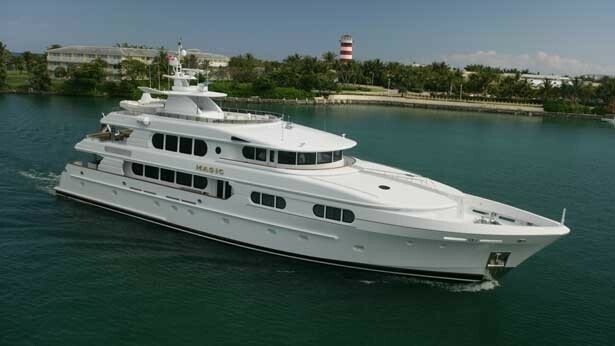 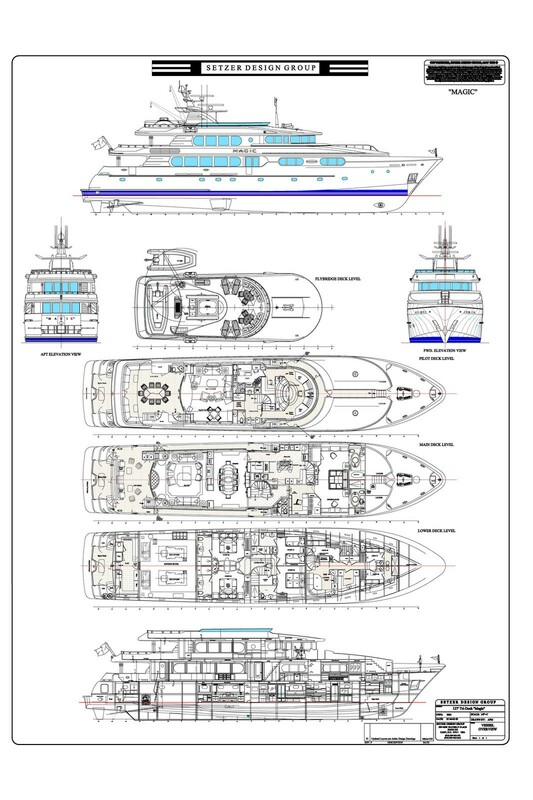 Motor Yacht MAGIC has a beam of 8.5 meters (28ft) and a draft of 2.13 meters (7ft). 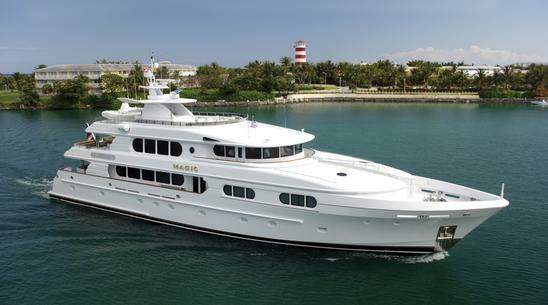 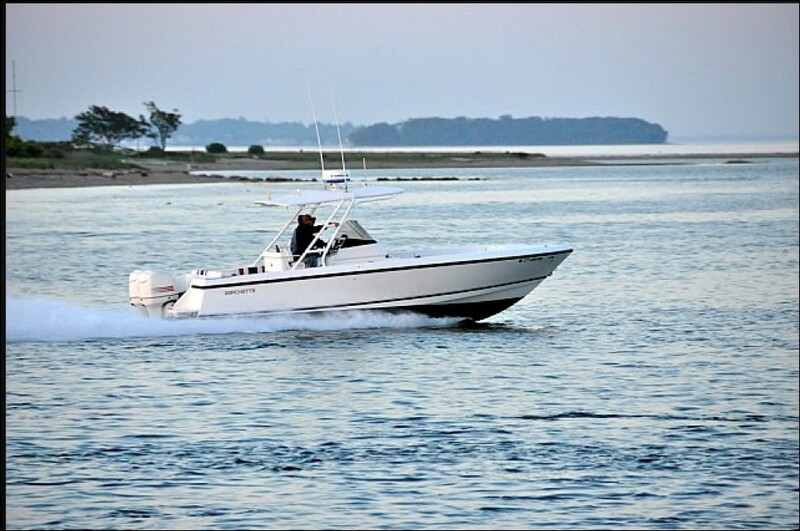 M/Y MAGIC has great fuel economy with an average burn of 35 gallons per hour at cruising speeds of 11 knots and 75 gallons per hour at maximum speeds of 14 knots. 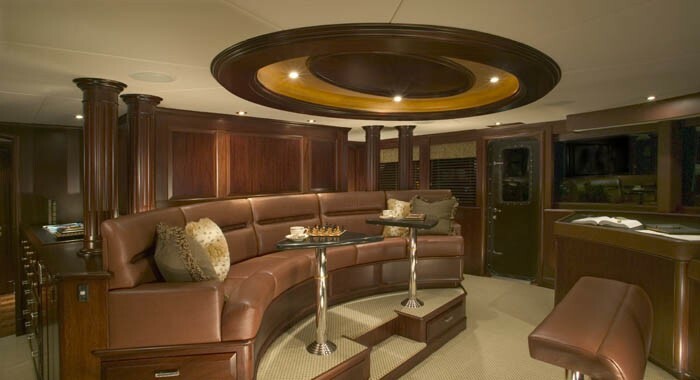 The flybridge has been re-configured to accommodate additional seating, a forward 5-person spa, an outdoor cinema, re-designed arch, mast, and hardtop structures, and an added day head. 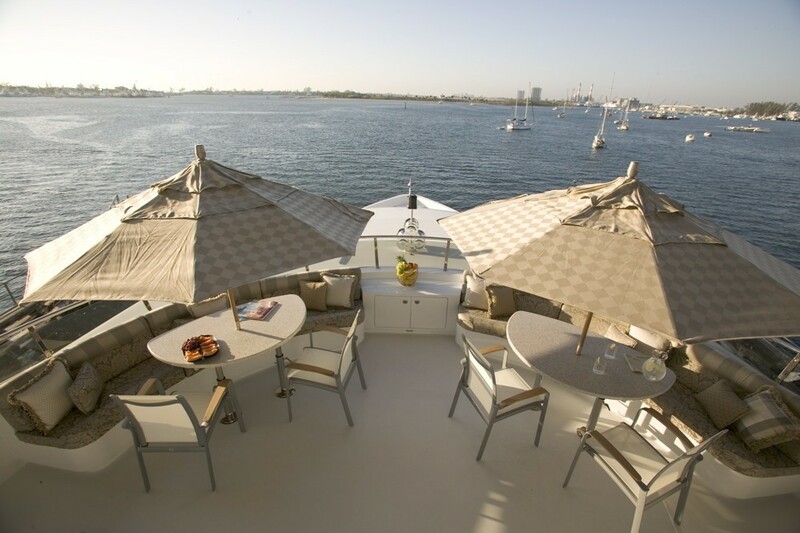 The bow deck had new seating areas with interchangeable dining and sun lounging configurations installed. 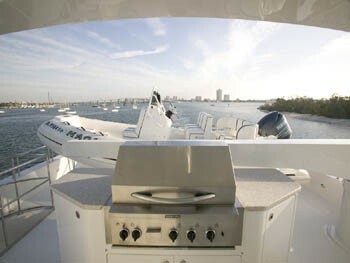 Also a hydraulically powered beach club transformer, custom made in stainless steel, was fitted to the yacht's transom. 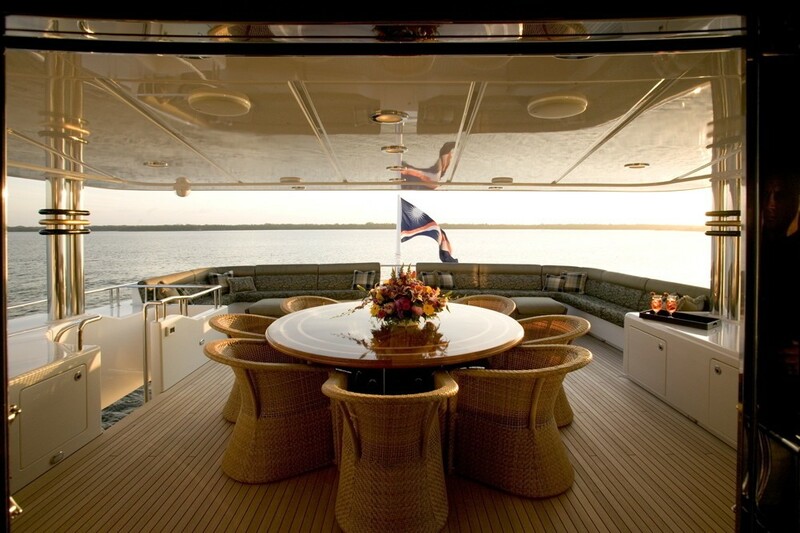 This has drastically increased the size of the swim platform, while also serving as a "sport deck," extendable passarelle, dive platform, swim ladder, and jet-ski dock. 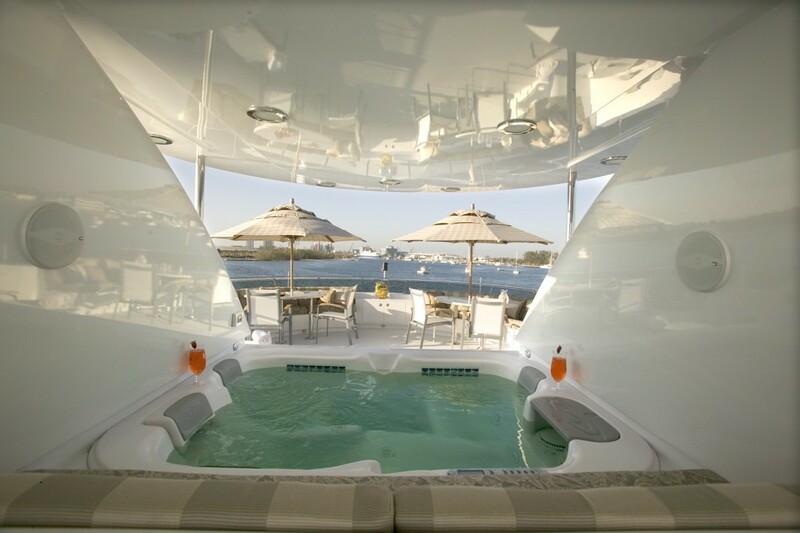 Luxury yacht MAGIC accommodates 10 guests in 5 deluxe cabins, the master suite is full beam on the main deck and offers a king size bed, separate office and en-suite facilities with tub. 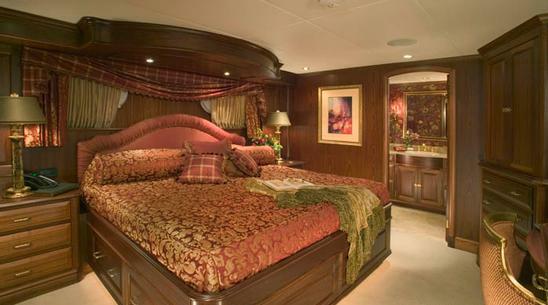 A further 4 cabins are on the lower deck, 2 with king size beds, 1 with a queen size bed and 1 with a double and a twin bed, all cabins feature beautiful mahogany finishes and fine marble and offer en-suite facilities.